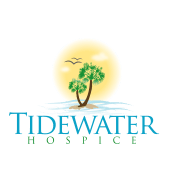 Tidewater Hospice provides care and support for terminally ill patients and their families so that they may enjoy their remaining time together as fully and comfortably as possible. Hospice care enables people to live until they die, and their families to live with them as they are dying - and to go on living afterward. We regard dying as a natural part of life. Would you recommend Tidewater Hospice?